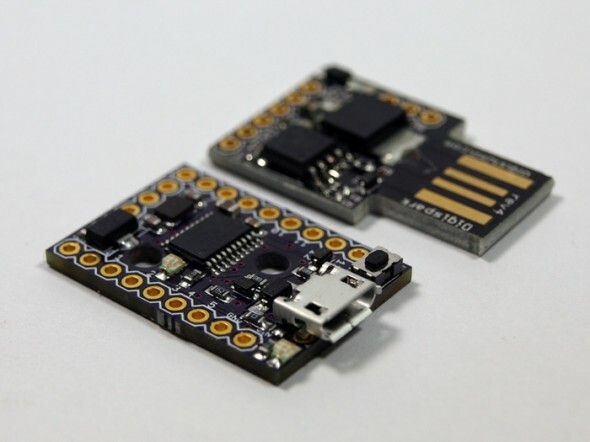 The tiny Arduino IDE ready, usb and mobile dev board and ecosystem – cheap enough to leave in any project! 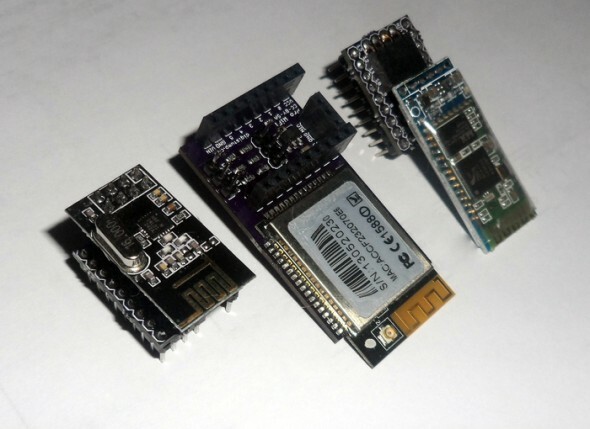 Wi-fi, BLE, and 25+ shields! Serial over USB debugging, USB programmable, 14 i/o, SPI, I2C, UART, USB Device Emulation, Mobile Development Ready, Optional BT, BLE, Mesh, and Wi-Fi. The super small, dirt cheap, always open source, Arduino compatible, USB (and Mobile and Wireless!) development (and production) platform, and follow-up to the original Digispark. Easier to use, more pins, more program space, more features, more reliable – supporting the entire existing Digispark ecosystem of 25+ shields and adding Wi-Fi, Bluetooth, BLE shields and more! 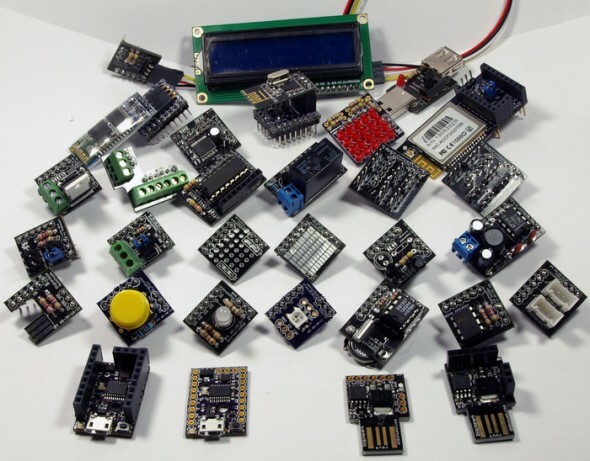 Ready for all your projects – including mobile hardware development! All still super affordable! The Digispark Pro Ecosystem is the cheapest, Arduino compatible development platform for Mobile and Wireless hardware development. Wi-Fi, Bluetooth, BLE, Mesh shields: The Digispark Pro is backwards compatible with all existing Digispark shields – and it has some shields exclusive for the Pro including: a Wi-Fi shield, a Bluetooth Classic shield, a Bluetooth 4.0/Low Energy Shield, and a nRF24L01+ low cost mesh networking shield. These low cost shields make the Digispark Pro the cheapest way to jump into Internet of Things, Mobile, and Wireless development! I2C, SPI, UART, LIN, USI: The Digispark Pro is ready to connect to just about any peripheral – it has stand alone SPI, a UART (with LIN capabilties), and I2C that is shared with a USI bus – which could act as a second SPI or UART for advanced users. This gives it all the bus options of an Arduino Uno and more!